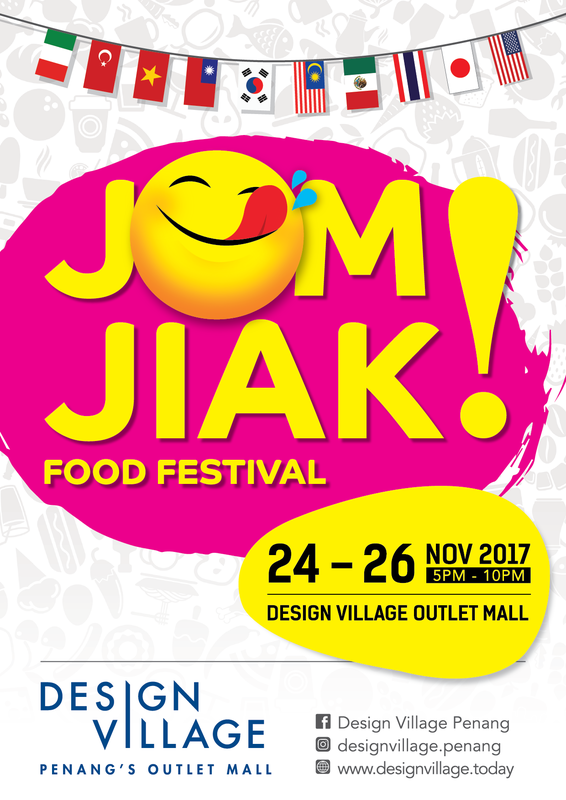 For the very first time ever , Design Village will be having the Jom,Jiak! Food Festival from 24th- 26th November 2017 (5pm – 10 pm) in conjunction with the 1st anniversary celebration of DVO’s opening. Get ready bask your taste buds with the assortment of international foods and beverages from all around the world. Embark on a journey to different countries without even leaving home. To top off the evening joy, a various number of activities will be held which includes family friendly activities, food truck gathering parties and the cherry on the icing, the fireworks displays the highlight of the event. So what are you waiting for? Be sure to mark your callenders for the 24-26tb of November! Don’t miss out on this amazing time! We can’t wait to meet you, so see you real soon!